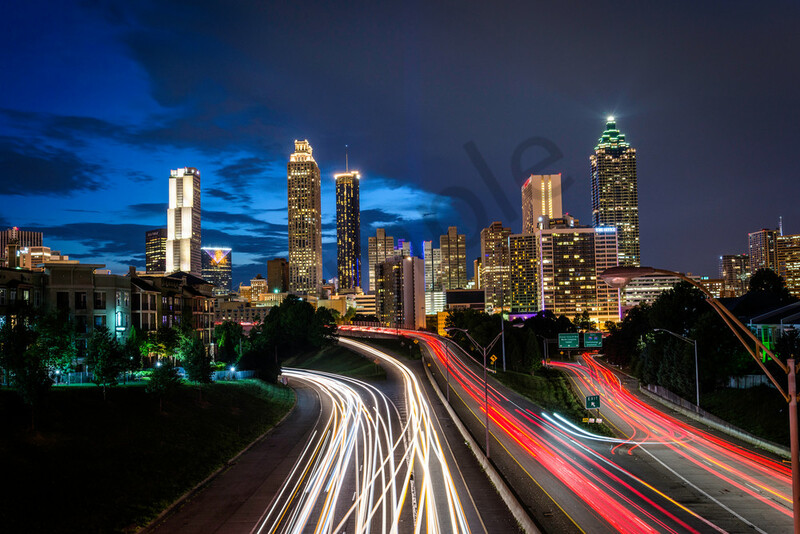 Settling in on the bridge with my tripod on a cool night in Atlanta, I took over 100 shots to capture this one Atlanta cityscape. Full of color and light trails, this one especially caught my eye when I noticed via the light trails that someone had turned their car and driven against traffic on Freedom Parkway, apparently to get back to a missed highway on-ramp! Atlanta drivers are a breed all their own. This classic Atlanta skyline shot would be great for an office or den.